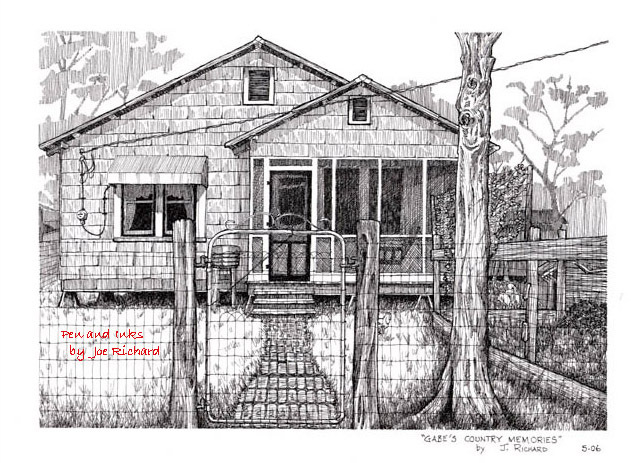 "Gabe's Country Memories" depicts the house where this artist's son spent his summers growing up as a child in the country in southwestern Louisiana. The artwork was complete using a combination of photographs taken between 1972 and 2005 showing the house which is the main subject of this piece of artwork. The artwork depicted utilizes mostly line art techniques combined with light, shadow and a touch of imagination. This study in pen and ink techniques was completed in May 2006. 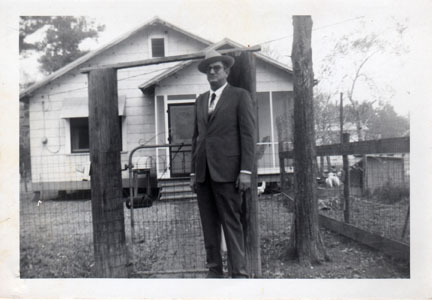 The photo used in completion of the artwork entitled "Gabe's Country Memories". The photo was from a family collection of personal photos and is Copyrighted by the family.